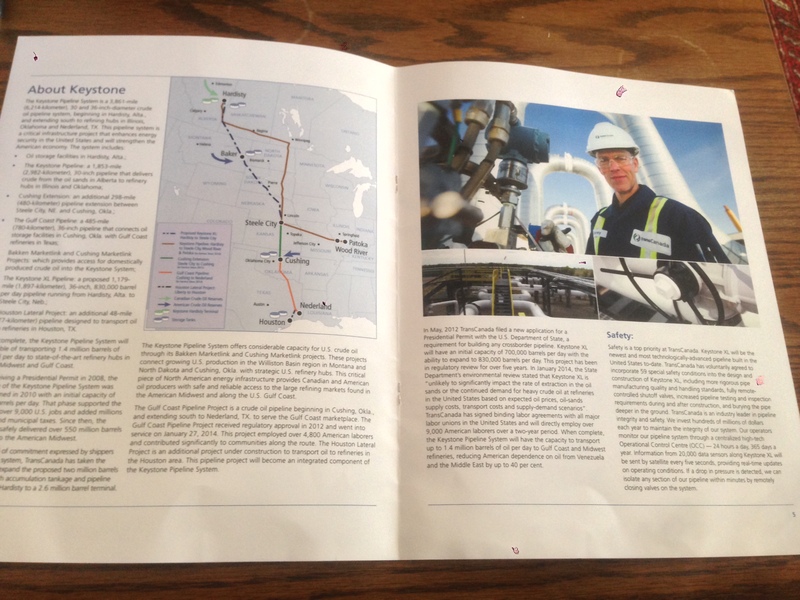 This brochure promoting TransCanada’s proposed Keystone XL pipeline was distributed at a recent ALEC conference. 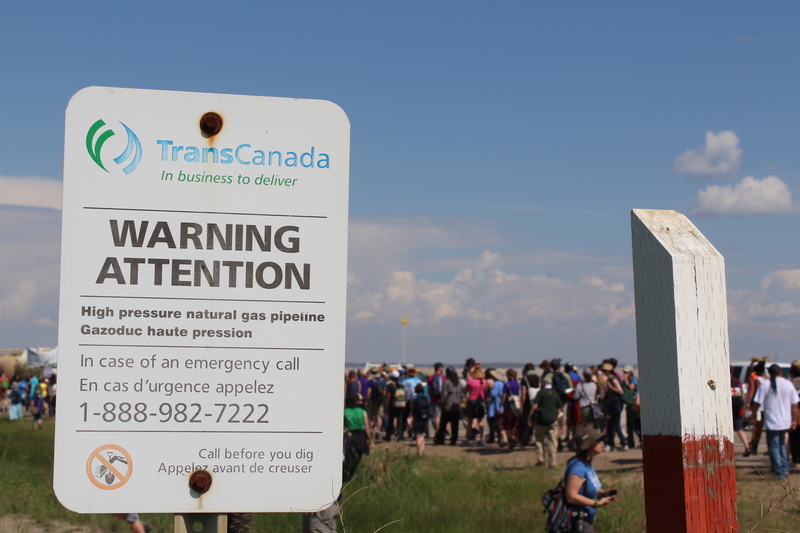 TransCanada said it’s not a member of ALEC but that it sponsored an “ice cream social” event at the meeting. Photo courtesy of Nick Surgey, Center for Media and Democracy. Exxon Mobil says there is “no story” for reporters to tell about its funding for the American Legislative Exchange Council – a non-profit organization that connects lobbyists with American state legislators on secretive committees that draft model laws in a wide range of public policy issues. The company said that it doesn’t deny climate change. A new story about ALEC was published by the Toronto Star on Saturday and you can find it here. 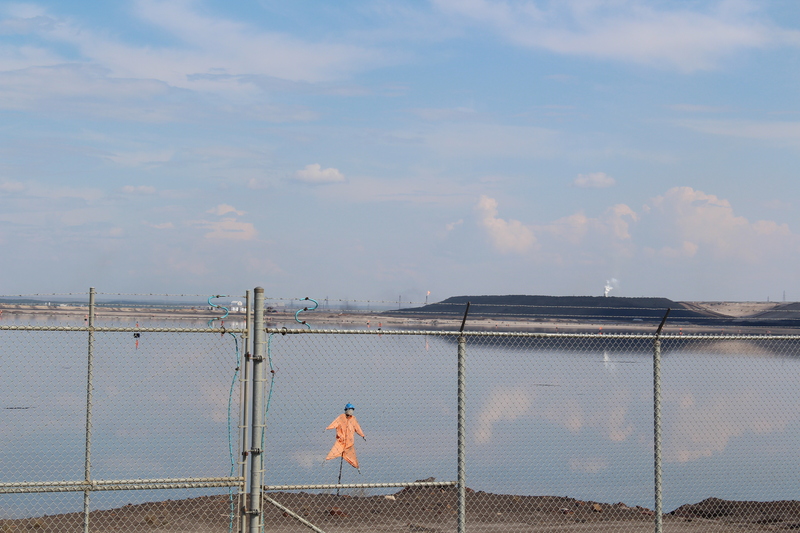 A scarecrow stands guard to prevent birds from landing on an oilsands tailings pond near Fort McMurray, Alberta.